Born in Arkansas in 1887, Florence Price first learned piano from her mother, a music teacher. 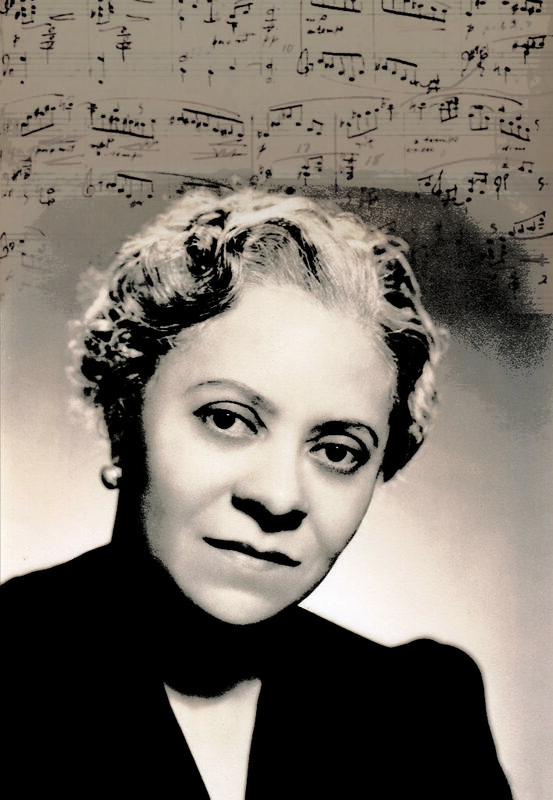 When Price enrolled at age 14 at the New England Conservatory, her mother told the school Price was Mexican – not to deny Price’s identity, but to try to minimize the prejudice she might face. Price later moved to Chicago and befriended composer Margaret Bonds, through whom she met poet Langston Hughes and contralto Marian Anderson, and with whom she became known as a Chicago Renaissance composer. Price’s Symphony in E Minor was premiered by the Chicago Symphony Orchestra in 1933 – the first performance of work by an African American woman by a major orchestra. Price’s works include compositions for orchestra, chamber music, piano, organ, choir, and arrangements of African American spirituals.